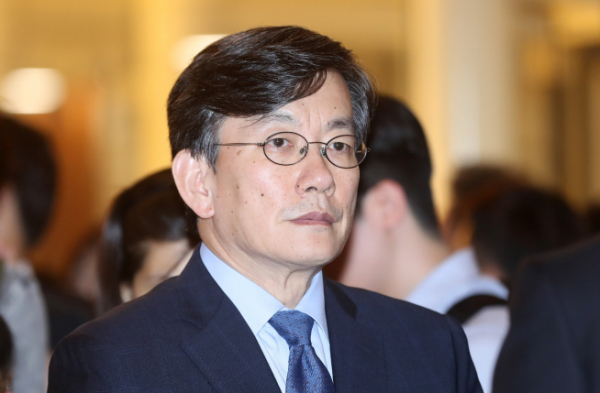 Sohn Suk-hee, a popular news anchor and president of cable TV network JTBC, has been countersued by a freelance journalist who threatened to go public about a car accident involving Sohn. Kim Woong, 49, sued Sohn, 62, for assault, blackmail and libel on Thursday. According to the Seoul Western District Prosecutors’ Office, Kim claimed that Sohn not only punched him, but also pressured him to agree to a settlement, and spread false information by issuing a press release. Kim had filed a police report against Sohn on Jan. 10 saying that Sohn punched him in the face several times at a restaurant in Mapo-gu, Seoul. In a JTBC press release on Jan. 24, Sohn said all he did was tap him a few times, telling him to calm down, as Kim was enraged when Sohn turned down Kim’s request to hire him. Sohn sued Kim for attempted intimidation and threatening him. Kim also issued a statement, saying he would “forgive” Sohn if he admitted to the alleged assault and apologized on his news show. According to the Mapo Police Station, Sohn will be summoned for questioning on Feb. 17. Kim’s accusations against Sohn, a liberal broadcast journalist with tens of thousands of fans, constitute yet another episode in a showdown between liberals and conservatives in Korea’s deeply divided politics. Under Sohn, JTBC ignited nationwide fury in 2016 with a report on the discovery of a tablet PC that it said belonged to Choi Soon-sil, a close associate of former President Park Geun-hye. Some 200 government documents, including Park’s official speeches, were found to be stored on the tablet PC, JTBC reported in October 2016, leading to months of media reports concerning influence-peddling by Choi, who did not hold an official position in the government. Park was removed from office in March 2017. Last week, a local vernacular unveiled text messages exchanged between Sohn and Kim’s lawyer friend Yang, in which Sohn told Yang that Kim had blackmailed him for five months to get a permanent job at JTBC. In April 2017, Sohn’s vehicle reportedly hit a tow truck in a vacant lot near a mountainside church at around 10 p.m. as he was backing out. Kim has claimed that a young woman was sitting in the front passenger seat, and Sohn reportedly told Kim that it was his mother, who is over 90 years old.